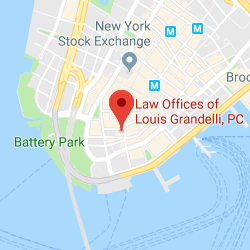 New York Premises Liability | Law Offices of Louis Grandelli, P.C. We are here to help with your NY premises liability claim. We have the verdicts and the credentials to back it up. Property owners owe a duty to keep their property safe for the people they invite onto it. For the owners of places that are open to the public such as restaurants, grocery stores, malls, apartment buildings and others, this means staying on top of maintenance in terms of cleaning up spills and debris that could cause someone to slip and fall. It also means taking action when repairs and more long-term issues such as providing adequate security need to be addressed. If you have been injured on someone else’s property, the owner may be responsible for your injuries and owe you compensation. Our firm can help maximize that compensation for you. The property owner knew about the dangerous condition and did not take appropriate action to repair it. The property owner should have known about the dangerous condition and did not take appropriate action to repair it. The condition of the property violated a New York state building code. We have been able to secure many multimillion-dollar recoveries for clients who were injured on others’ property. We are proud of our record of successfully helping the injured and feel that it strongly illustrates our ability to deliver the results people need. Our NY premises liability lawyers are highly effective litigators who understand where to go to find the evidence we need and how to make the most of the evidence we have after someone has been injured on another’s property. For more than 24 years, we have been delivering the real help people need. Our firm and our lawyers are recognized for the high quality of work we do. 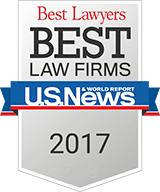 We have been named by Best Lawyers as Best Law Firms – Personal Injury Litigation – Plaintiffs for the past two years. 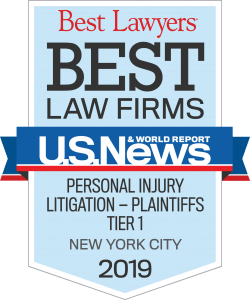 We were one of only 19 law firms in the New York City metropolitan area that were so recognized. 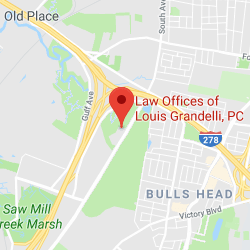 Our founding partner, Louis Grandelli, has been named in Best Lawyers in America for the past three years and in Super Lawyers every since 2010. When you have been injured on someone else’s property, we can help you pursue the full compensation you deserve. Turn to our NY premises liability law firm. To schedule a free initial consultation, call 212-668-8400 (Manhattan Office) or 718-477-1919 (Staten Island Office) or contact us online.